Fast, Affordable, and No Computer required. 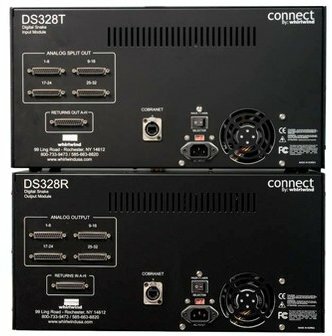 The CONNECT Series digital transmitters and receivers provide a complete 32 x 8 or 16 x 8 digital snake solution. to analog line level outputs on stage via a single CAT-5 cable. 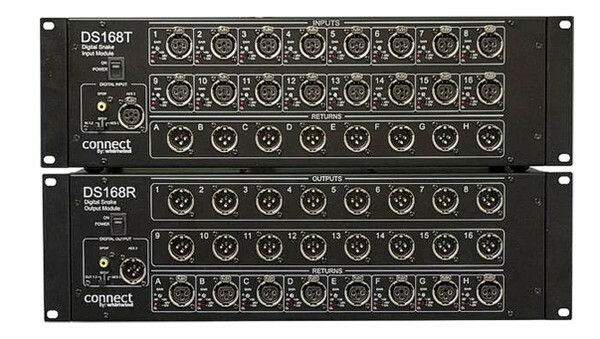 Multiple units can be ganged together to increase channel counts up to 64 inputs on a 100 BASE-T network. 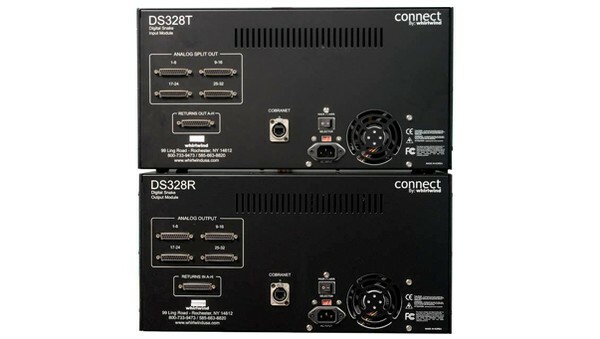 Additional receivers can be added to the system for providing splits to multiple locations. any other CobraNet compatible I/O device. the transmitter when used in conjunction with the XLR inputs on the front panel. 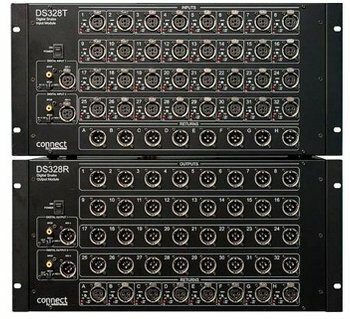 Gain and 48V phantom power are manually controlled at the stagebox - no computer required. It's an economical snake but with the quality you've come to expect from Whirlwind.